Here is a great link on YouTube that will help you understand anxiety. Thank you to Karen Dinmore, one of our fantastic team leaders for providing the link. Nonsense article in the media below. 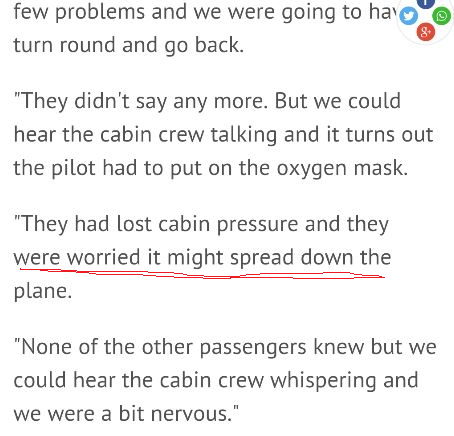 Here is a snippet of something that was in the press about a BA flight that turned back. All I can say is this...it is complete nonsense! Enough said. Some things in the media you need to read with caution...Thanks to another super team leader Matt Burgess for spotting this one! This is a comment that was posted by an attendee that came on our Birmingham course that was struck by lightning on 1st March.